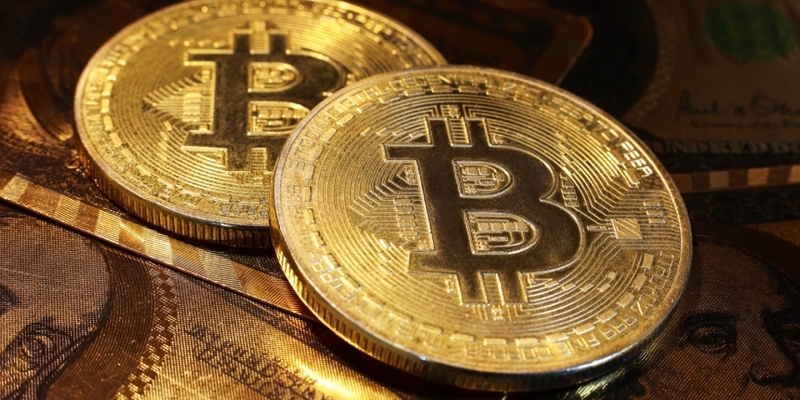 Bitcoin (BTC) has dropped out of the tight trading range seen recently, paralleling losses in the U.S. stock markets. The leading cryptocurrency, which was trapped in a triangle pattern (narrowing range) above $6,400 yesterday, had looked set for a breakout. However, the bullish technical setup failed and BTC found acceptance below the triangle support of $6,430 at 17:30 yesterday. The downward move was possibly linked to risk aversion in the U.S. equities, with the S&P 500 opening on a negative note Thursday and closing with a 1.4 percent loss. Bitcoin and the S&P have appeared to correlate on and off for almost a year, each taking turns as the leading indicator. Of late, the S&P 500 index has been leading the BTC market by 12 hours or more. At press time, BTC is changing hands at $6,380 on Coinbase, representing a 1.19 percent drop on a 24-hour basis. The triangle breakdown witnessed yesterday may have emboldened the bears. So far, however, the downside has been restricted around $6,350. As seen in the above chart, the 50-, 100-, and 200-hour exponential moving averages (EMAs) have turned lower in favor of the bears following the range breakdown. Further, the stacking order of the 50-hour EMA below the 100-hour EMA, below the 200-hour EMA is a classic bear signal. Therefore, a drop to $6,230 could be in the offing. BTC has likely carved out a classic bottom around $6,000. Since June 2016, the S&P 500 has repeatedly found buyers around the 200-day MA. As a result, the dips to or below the MA have been short-lived. If the S&P 500 finds acceptance below the 200-day MA, risk aversion will likely worsen and may push BTC below the all-important psychological $6,000 mark. So, it seems safe to say that $6,000 and the 200-day MA line on S&P 500 are key levels to watch out for in the near-term. The triangle breakdown has opened the doors to $6,230 (key support zone as per the hourly chart). A move above $6,435 would invalidate the bearish setup. A sustained move by the S&P 500 below the 200-day MA could be considered a warning that BTC is about to break below $6,000.